A project in Mali training a group to build wind turbines to Hugh Piggotts design. 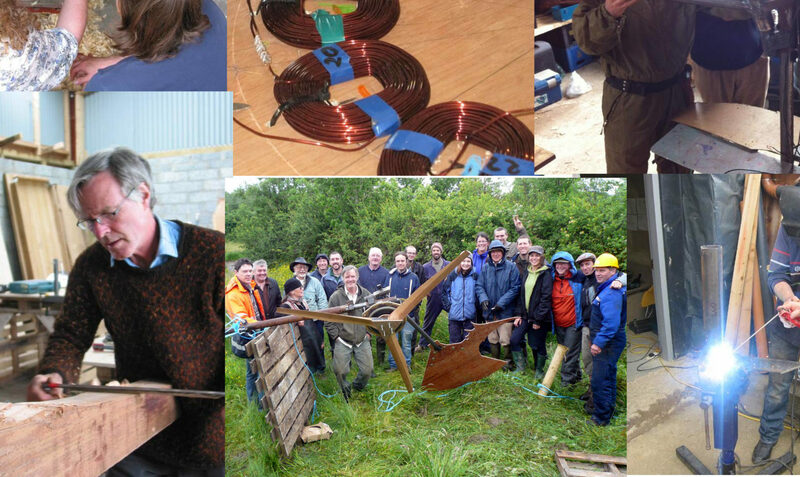 The project has finished its intial training period and the group are now making small wind turbines each Saturday. A large fund of the NCDO has been granted for half the costs to supply materials and pay the wages for the construction 24 wind turbines. Technical support and questions are given on a weekly basis via skype. Support “at site” could lead to more efficient learning approach and volunteers are seeked. Sponsoring and grants are very welcome in order to make this “still fragile” project become a success.